This article is 1889 days old. 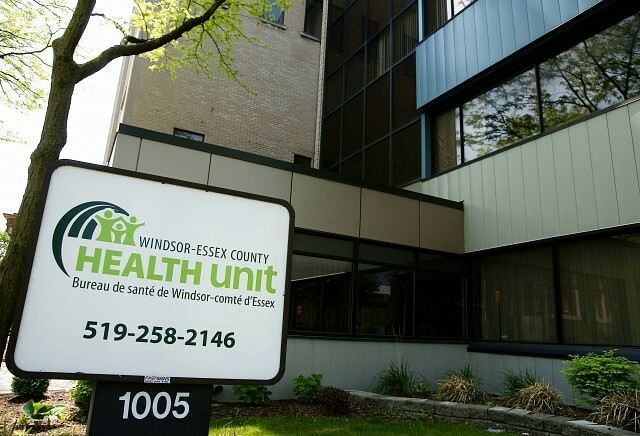 The Windsor-Essex County Health Unit has appointed two new directors to the organization. Nicole Dupuis became the Director of Health Promotion in January. Ms. Dupuis is originally from Windsor and was educated in medical anthropology in Arizona, where she developed an interest in culture and how it defines our health and living conditions. “I’ve always been interested in learning why there are differences in health outcomes,” she says. Her area of studies focused on the differences in Tuberculosis (TB) and Human Immunodeficiency Virus (HIV) transmission between different cultures and societies, driving an interest in public health and health equity. Ms. Dupuis obtained a master’s degree in public health and worked as a health promotion and education supervisor for North Carolina Public Health, while at the same time co-founding The Piedmont Diaper Bank. She moved back to this area in 2011, when she accepted a position at the Chatham-Kent Public Health Unit as the manager for Chronic Disease and Injury Prevention. Ms. Dupuis has a keen interest in the social determinants of health and a desire to find equality in our community. “I am excited to be a member of such a dedicated and passionate group of Public Health Professionals and look forward to improving the health of the community together,” says Ms. Dupuis. Julie Fraser is the Director of a newly formed Knowledge Management Division. Ms. Fraser has a degree in Applied Social Psychology from the University of Windsor, with a focus on sexual health. After completing her doctorate, she worked as a consultant and was on several committees with Health Unit staff. “I always felt the Health Unit had fantastic people, doing so much important work,” she says. She began working at the Health Unit in 2004 as a Health Promotion Specialist in the Chronic Disease and Injury Prevention Department and then as a Program Evaluation Specialist. In 2007, she joined the ranks of management and supervised various staff in communications, epidemiology, planning, and evaluation until the end of 2013, when she assumed her new leadership role. The Knowledge Management Division houses both Epidemiology Planning Evaluation Quality (EPEQ) and Communications Resources Departments, as these two departments are heavily involved in planning. Ms. Fraser’s goal for the division is to, “have a smooth, seamless planning unit.” She wants to make sure we have the numbers and data to back up our choices. “I’m very excited to be part of so much positive change,” says Ms. Fraser about her new role at the Health Unit.